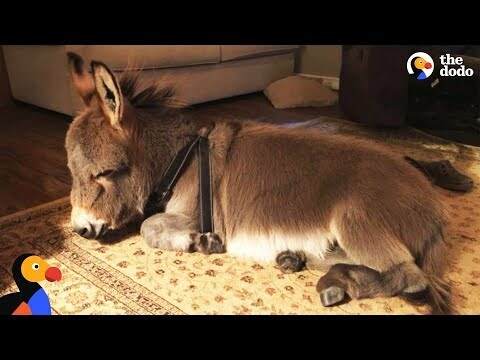 Here's a super cute and funny little donkey who lives indoors and acts like a dog. His name is Tiny Tim and he loves back scratches, plays catch and wags his little tail. He wasn't always this happy though, his owner found him barely alive in a barn. She took him to the vet and found out his liver wasn't functioning properly. She then decided to bring him into her home and nursed him back to health. Now he's happy, healthy and lives along side his dog friends. Check out Tiny Tims full story and click the link below. This Weasel is a thief! Weasel takes back whats rightfully his.